This attractive tile features a crackled look on a smooth surface in a trendy subway style. 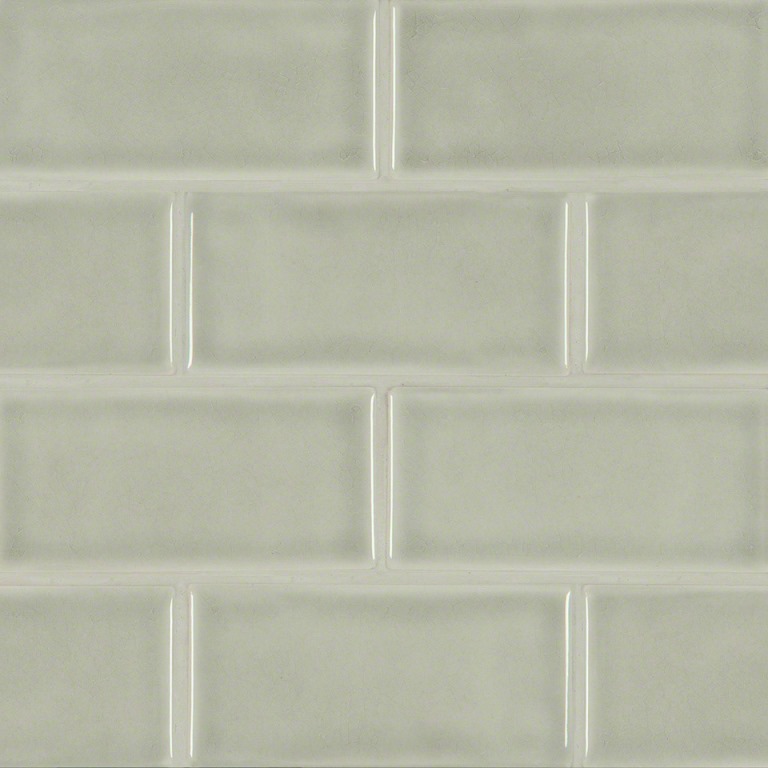 Morning Fog 3x6 Glazed Handcrafted Subway comes from our new collection of sophisticated classic tile style. These weathered hues of intricate glazing offer a subtle beauty that can only be achieved in a hand crafted tile. Pair these high end tiles with high end stones and new unique looks to create designs that will last through the decades. With the Morning Fog 3 in. x 6 in. Ceramic Wall Tile, it's easy to add a splash of contemporary styling to your decor. This attractive tile features a crackled look on a smooth surface in a trendy subway style. Trendy gray shades of this glossy ceramic create a distinct pattern for various install projects in bathrooms, kitchens and other residential or commercial spaces. This is a decent product that I have used. The handcrafted look is what i was missing out in the large local stores. this is different and gorgeous.